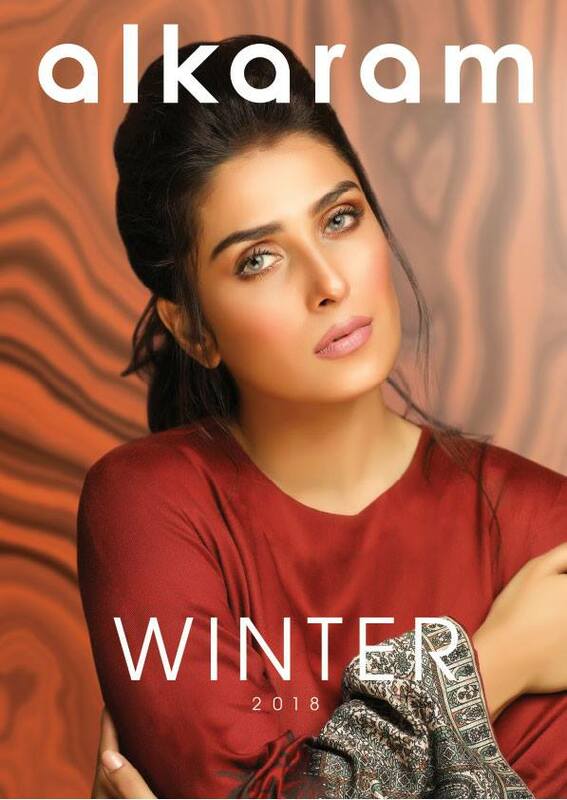 Pakistan’s one of the most leading brand and textile industry, AlKaram, famous for its outstanding prints and hues in the world of fabrics has now launched their winter series. Magnificent designs, embroidery works and beautiful cuts and laces have always been the trademark of this brand. 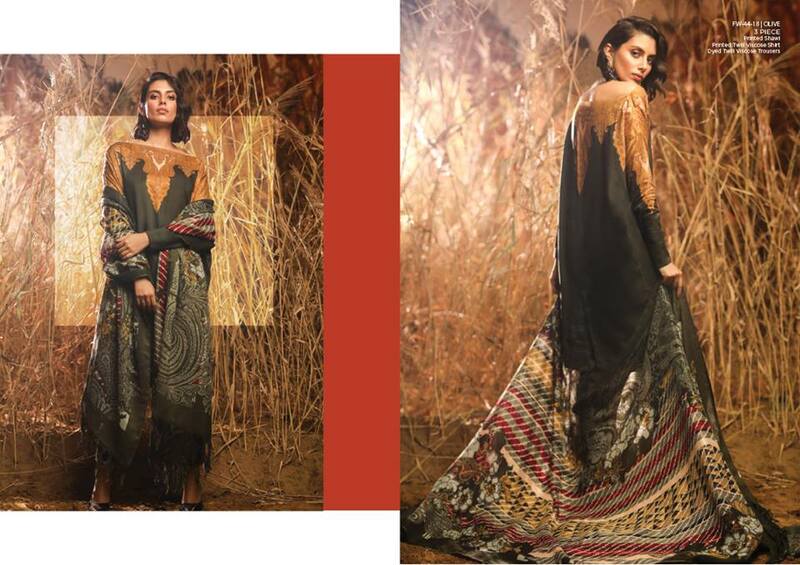 Alkaram Fall Winter Embroidered Dresses Collection 2018-2019 presents you the best of, stitched and un-stitched clothes, including formal, semi-formal, ready to go and casual wears. Catalogs for Volume 1 and 2 are all out now in stores. AlKaram always goes beyond the boundaries of criticism and puts in the new vision of creativity in each year’s collection. 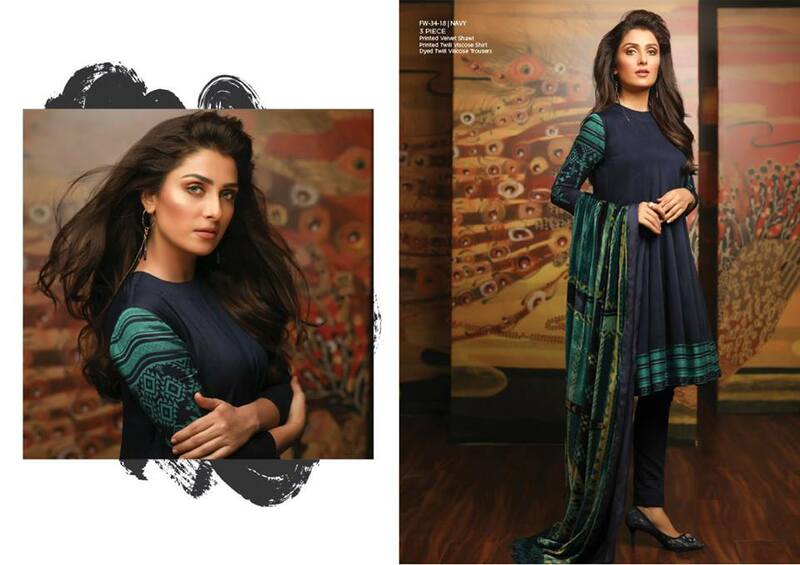 Great prints with affordable prices are the hallmarks of this season’s collection, the cost ranges from PKR 2400 to PKR 6500, drawing the attention of both the working women and the housewives. 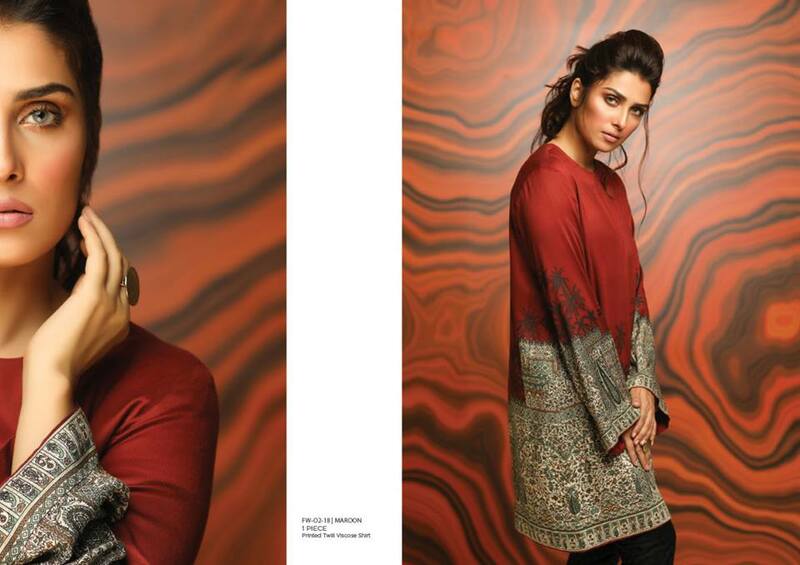 Al-Karam Winter collection is a treat full of warmth and astonishing lines of trends. The wide range including cotton karandi, winter khaddar, cotton linen with woolen shawls, resham linen, and resham twill provides you with the great variety to choose in accordance with any of the festive occasion. Alkaram promises to bring out unique creation along with the huge range of variety as well. Following are the various lines of designs that are all out now in markets. 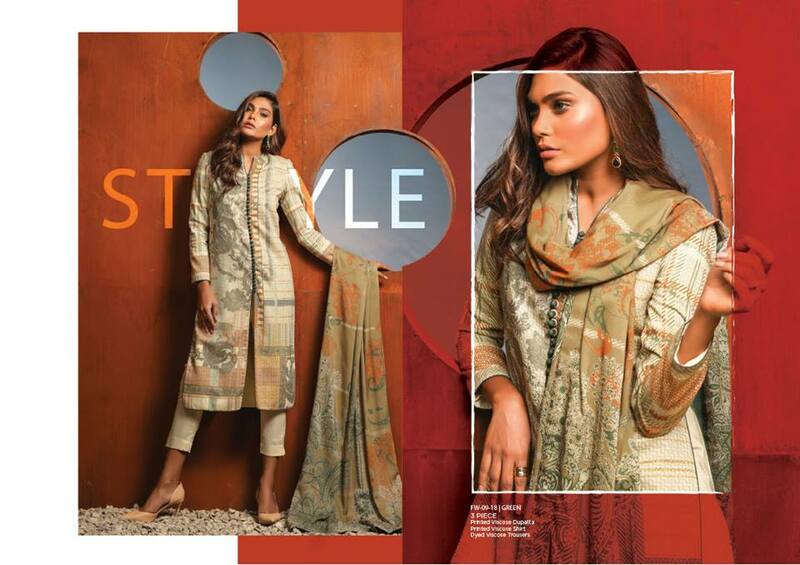 Catering to the demands of all, AlKaram always adds a hint of urban touch to the desi lines of garments. This year Al-Karam has raised the bar and launched a whole new range of vibrant colours and dazzling designs in AlKaram Kashmiri dress series. 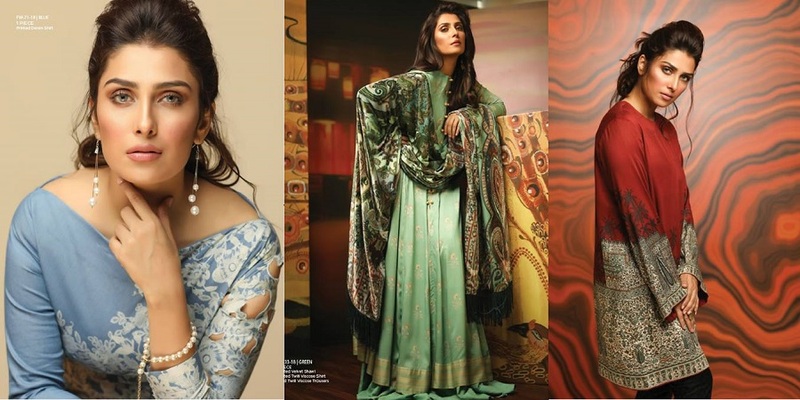 Beautiful and fresh hues with enchanting prints are all this assortment is about. 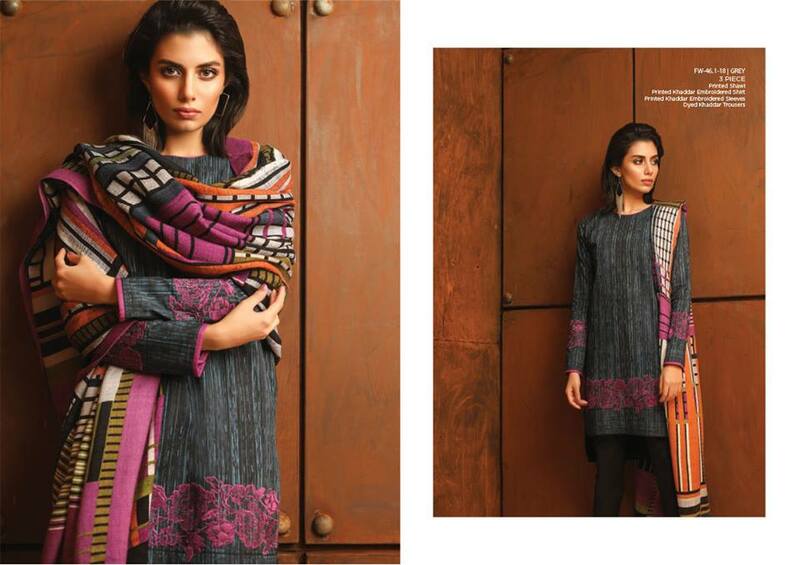 Alluring digital prints for winters can be now found in the whole series of Alkaram Winter Digital dresses. Whether its Cotton karandi or Linen Fabrics, Digital prints feature a trendy and super stylish outlook for your casual wears. 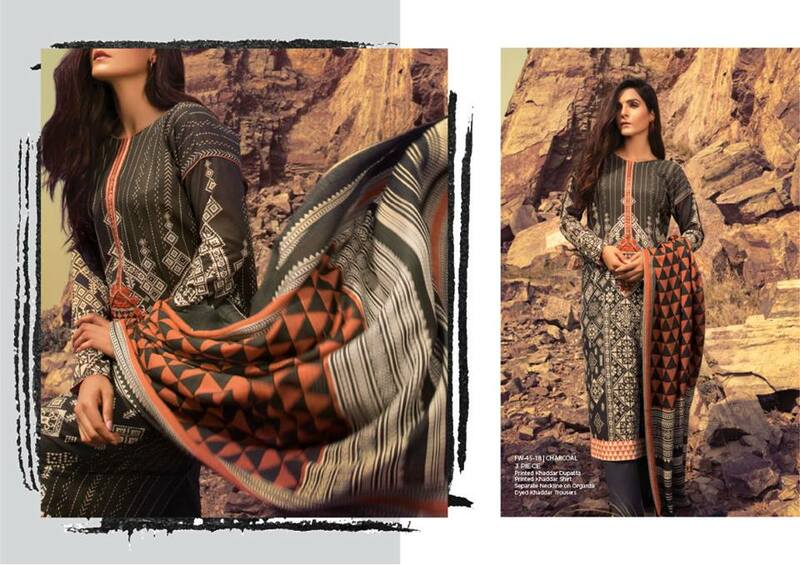 Even the new range of 2 piece suits are also carrying beautiful and stunning digital prints. Just like last year, this year Alkaram has again launched their marvelous and luscious range of Luminous series. As the name tells, they are all about elegance merged with vibrant arrays of colours. The fabrics available in this series are linen and khaddar with varying colors, from black to brown to purple, pink, yellow and orange. 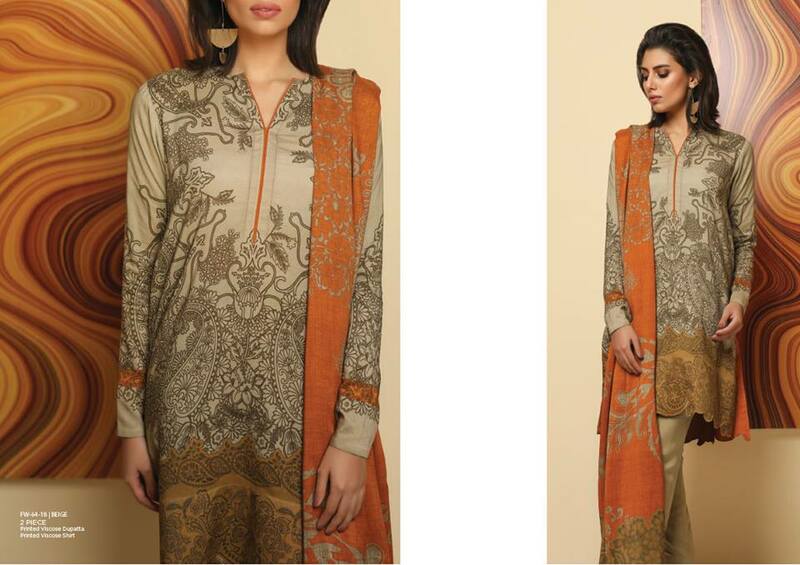 Shirts, either plain or printed both embroidered coupled with dyed shalwars. 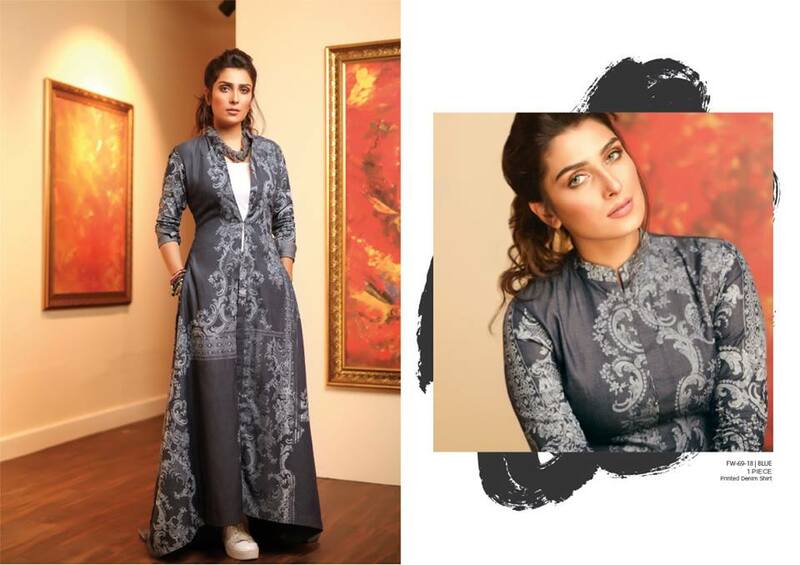 What is next is the magic that is filled with extravagant designs blended with the oriental trends of the East. 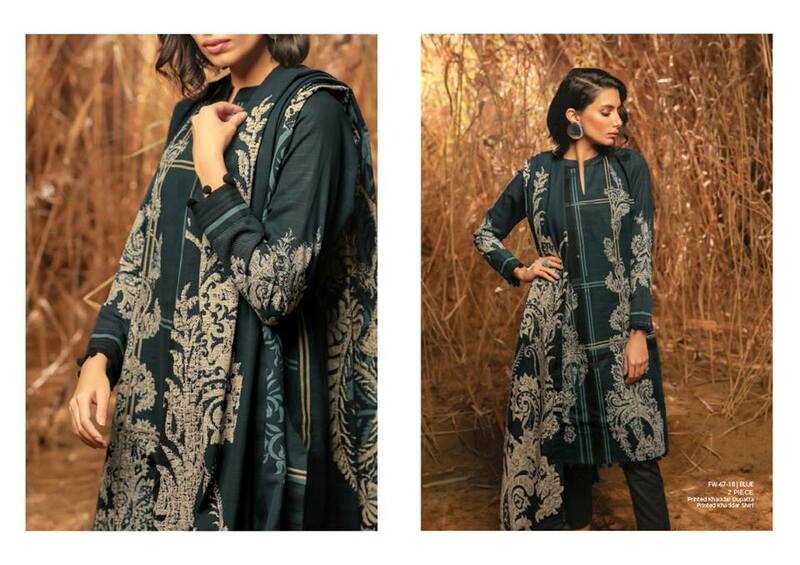 Alkaram dresses reflect the amazing culture with the hints of the modern style of wardrobes. AlKaram admires the wealth of the beauty of nature, the greenery, and the blooming flowers. 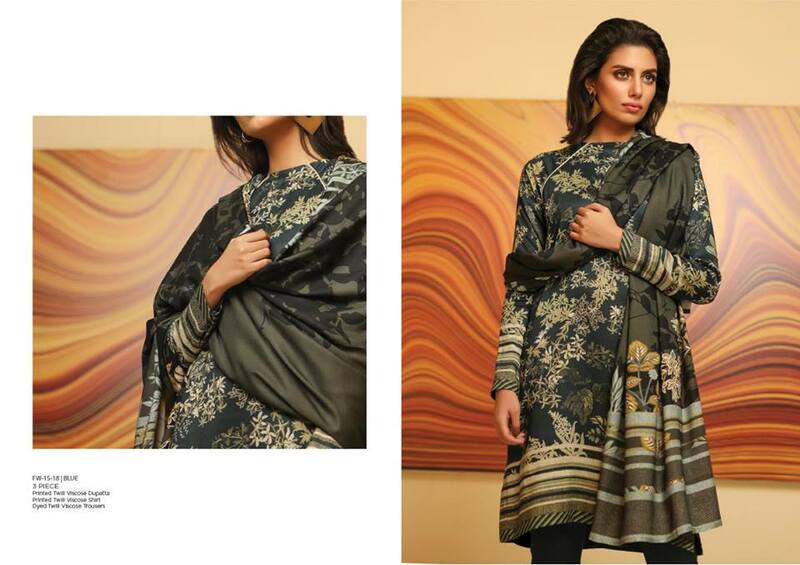 Inspired by fresh ravishing views of nature, this line of fabrics comprised of amazing floral prints. 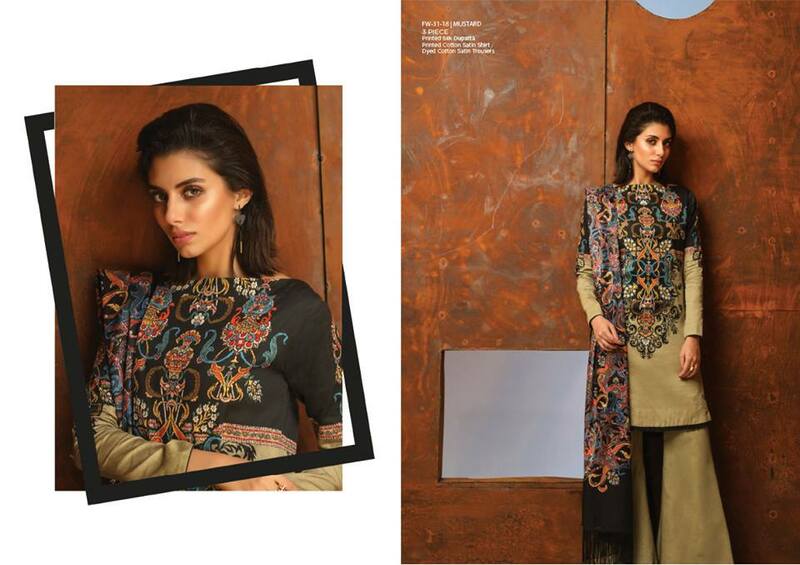 Three piece suits having printed palachi shawls paired with viscose printed embroidered Kameez and matching shalwars.